This outersuit is a cozy winter warmer. Monochrome bunny mask print. 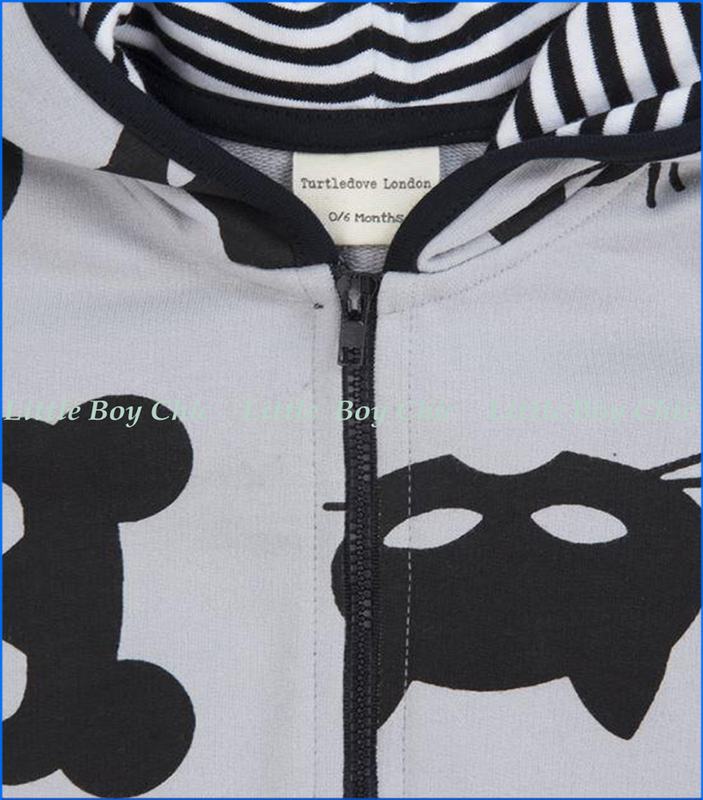 The handy hood is lined with a humbug stripe jersey fabric - perfect for cooler days. Soft elastic cuffs and zipper front fastening for easy dressing, logo tab to cuff. Unisex. 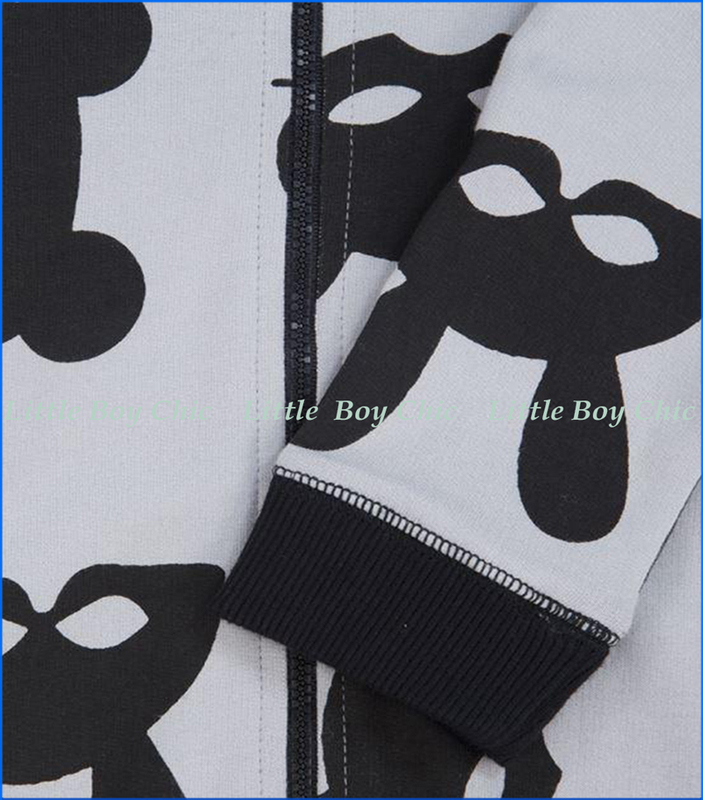 Made from GOTS certified organic cotton fabric, this outersuit is gentle on delicate skins and the environment too. Turtledove is a mindful antidote to fast fashion and fast living. Its garments are produced responsibly with organic cotton fabrics and Azo free dyestuffs. We love their garments that are �Evergreen� and �Gender Neutral�, designed to be worn throughout the year and be passed down to smaller friends and siblings. Turtledove is a new line we have brought to you this year, after a bake-off on every point that matters to you (and therefore to us) when it comes to your Boy's apparel � Quality, Design, Function, and Sensibility.